The issue of the lack of women in technology is constantly in the news. 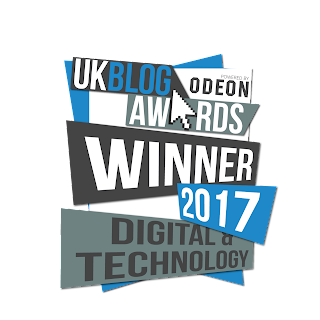 I've spent my whole career working in technology as an academic, a software engineer and architect and more recently as an educational content writer to encourage the next generation to get into tech. I love computing. I can't imagine doing anything else. It feels more like a vocation than a job. I've always had the feeling that girls and women didn't really know what computing was or they would be more interested. The computing that I know and love doesn't conform to male stereotypes at all. I don't feel like I'm doing something unfeminine! There's just been an awful story about a Google employee spreading the view that the company shouldn't worry about attracting more women 'because they prefer people more than things.' Of course, Google condemned this viewpoint. It concerns me that while lots of people outwardly support diversity, there's an undercurrent of men and women thinking that maybe men are more suited to computing. I think this is nonsense. I think it's a historical accident that computing has become male dominated and now it's self-perpetuating. We recently spent a weekend at the Winchester Science Festival with a stand where we were giving young people the change to try the bonus projects for our upcoming book micro:bit in Wonderland. Our purple laptops, red roses, pink flamingo and John Tenniel illustrations attracted a much higher proportion of girls than I've ever encountered at an event. There were more girls than boys over the weekend. This gave me the opportunity to listen to what lots of young women felt about computing. Lots of them said they felt it was promoted to boys at school and the projects tended to be about 'games and robots' with the implication that those were boys subjects. 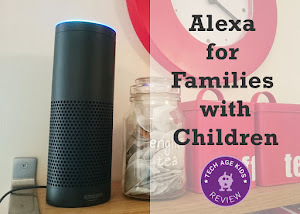 Some of them expressed annoyance that tech seemed boy-focussed at school. This shouldn't be misinterpreted as them wanting things to be pink and fluffy. They just want it to be relevant to their lives. I don't think that games and robots are a problem per se, rather the kinds of games and the kinds of robots. Lots of the teenage girls had already lost their confidence with technology and required frequent assurance that they were doing the right thing. They were! Many of the parents said that they really wanted their daughters to learn about tech but that they were nervous about it themselves. The girls (and boys) loved our projects and lots of them said they were definitely interested in doing more computing and technology if that's what it's like. I had lots of discussions over the weekend about what computing and technology is really about so I thought I would share my views here. Computing is about understanding the world. To create a program to solve a real world problem, you need to really understand that problem. I love that feeling of working out exactly how something works. I have a philosophy A-level (UK qualification normally taken at age 18) and it was one of the most useful parts of my education for a career in computing. This is what Computational Thinking is all about. Computing is logical. Please don't misunderstand this as saying you have to love maths to be good at computing. I was always good at maths, but honestly, maths isn't my thing. From what I've seen, the kind of maths that gets taught in schools is very focused on manually doing the kind of calculations that computers are great at, if you're not keen on doing pages of repetitive sums then please don't let that put you off computing. Computer scientists don't do arithmetic, they get computers to do it. There's a joke that says that computer scientists only need to know two numbers: 0 and 1 and it's pretty much true. It comes down to your definition of maths, and the maths in computing isn't the maths you think it is. I love logical reasoning. I had Raymond Smullyan's The Lady or the Tiger book as a child and loved the logic puzzles. Now, if that's maths, then yes that's really useful to love. Computing is beautiful. There are often lots of ways to solve a problem in computing. Some are better than others. Some are faster or use less resources. Some are more 'elegant'. This is an aesthetic quality that indicates how well the concepts (abstractions) you've chosen to describe the problem capture the physical or virtual world you're describing, and how well you manipulate those concepts to solve a problem. There's something really satisfying about turning a problem domain into a well-ordered set of concepts that capture the information that you need. You don't have to be good at engineering or some other 'technical' discipline to enjoy working with computing and technology. My sense of direction is non-existent and my spatial awareness is terrible. I don't drive, it would be dangerous. I'm very grateful that I didn't get access to floor robots when I was in primary school (sorry Prof. Papert) as it might have made me feel that I was terrible at computing when in fact I just have no spatial awareness. I felt really guilty teaching lessons with ProBot floor robots this year as there were a group of bright girls who were utterly confounded by their poor spatial awareness skills (don't worry they got to try plenty of other aspects of computing). So much of early computing seems to be about navigating characters around grids. I find myself saying "imagine you're the Angry Bird" as much for my own benefit as for the kids! If you can't work out which arrow or direction you need to choose after several moves on one of these activities it may not be your computing skills that are lacking. Computing is about automating boring stuff. Lots of robotics is also about automating boring stuff. If there were more women in technology then I'm pretty sure my robot vacuum cleaner would be able to tackle the stairs by now. Getting a computer or robot to perform a task that would take a lot of time is an awesome feeling. It gives you extra time. A while ago IBM got hugely criticised for an advertising campaign that encouraged women to 'Hack a hairdryer' to get them interested in STEM subjects. The critics accused IBM of being patronising. I felt that this suggests that tech for women is somehow less important than other tech. My hairdryer is really annoying, the power toggle is in exactly the place where I hold the handle when drying my hair so I keep turning it off. Design fail. What's wrong with improving technology that women use? In many households it's still women who do most of the housework. Technology has improved the situation hugely during my lifetime and I think it will continue to do so. Inventing ways to avoid any humans having to do housework sounds like a great use of anyone's time to me, male or female. Modern technology, especially robotics and AI, introduces lots of ethical and moral issues. How are we going to cope with robots becoming increasingly involved in our lives? Do we want them looking after children and the elderly? How do we want to interact with increasingly human-like robots? I think we need to do a bit more than watch Humans and Westworld to navigate the issues. Computing and Tech is about designing usable systems. One of the lightbulb moments that I had early in my career was when I said I was struggling to understand the error messages I was getting from a FORTRAN compiler. My boss replied saying that yes the error messages were rubbish, it should have the information to give much clearer explanations of what was wrong. He said that the compiler should be improved. Technology is there to help people, people shouldn't have to work around technology. Computing is about organising stuff. I always loved using different coloured pens and sticky notes on my revision notes. I loved collecting novelty erasers and organising them into different containers so that I'd be able to find them. I'm a bit obsessed with storage and love neat ways to store stuff. This feels connected to my love of computing. I also love patterns. I had lots of geometric coloured books as a child and loved my Spirograph and macrame (it would be loom bands now). It always annoyed me when the dancers on Top of the Pops weren't symmetrical. This also feels connected to computational thinking. I loved Codewords type puzzles, ciphers like the Caesar cipher and ways of encoding information like Morse Code. I also loved data, what books did my favourite authors write and in what order, how much do things cost in different shops, how did the music charts change from week to week. I find technology incredibly frustrating. It often requires me to do too much work. It often doesn't work as it should. It's a bit rubbish. But this makes me feel like we need to improve technology. We need to make it 'just work'. Don't mistake finding tech frustrating for not being good at it. It's that refusal to accept that current tech is good enough that leads to advancements. It's not all about coding. In fact, as I got more senior in my career I didn't even do coding myself anymore (except for fun or to try out an idea.) There's lots of other work to do such as working out which problems are worth solving and understanding the problem domain. You don't have to love coding for the sake of it. We had an 80-year-old lady try one of our coding projects, after it, she said "OK, now I understand what coding is, but what is it for? Why would I want to do it?" This is an excellent question. Lots of younger people probably have similar thoughts but don't feel confident to express them or can't quite articulate their disquiet. Coding for a purpose feels very different to coding to solve an academic problem that someone else has set. 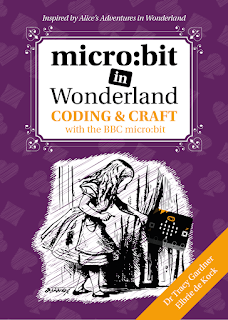 That's one of the reasons we chose a book as the backdrop for micro:bit in Wonderland, it provides a context, albeit a made up one, for the projects. But we also encourage makers to customise their projects and then apply what they've learned to their own ideas. For some people, coding is only worth the effort when they value the outcome. We understand that teching up the Mad Hatter's hat might seem a little frivolous when you're 80, but our younger makers were quite happy to go along with it! Just because you don't like some things that you've done with computing it doesn't mean that you won't like other things. If you didn't enjoy programming arcade games or coding a robot to avoid obstacles, that doesn't mean that you won't enjoy computing in a context that appeals to you. Try and find ways to learn how to create projects that you are interested in. Computing and technology allow you to create new stuff that didn't exist before. That stuff can include useful apps, art, music, adaptive devices, interactive media and wearable devices. That's pretty neat. Computing is full of lightbulb moments. 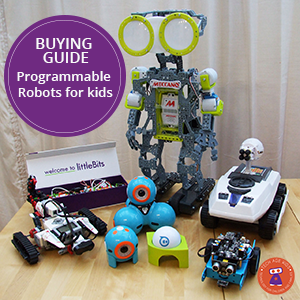 I got to see loads of those recently when I watched children complete our micro:bit projects. It's an awesome feeling when you solve a problem, understand something for the first time or make something happen. In computing you get to have those feelings regularly. That doesn't go away. I still regularly get that feeling when I figure out how something works or find an elegant solution to a problem. Computing is actually a very social activity. Most systems these days are developed by teams of people working together and often collaborating with other groups. If you enjoy working with other people then you're likely to end up in roles where that's important. If you have a fear of coding and tech then you need to get past it. Tech runs the world and you don't want to be left out of that. That doesn't mean that everyone has to like it. But you don't want to go through life being nervous of anything technical. We met lots of adults who looked panic-stricken when we suggested they sit down next to their child and work with them. We also met teenagers for whom fear had started to set it. Honestly, it's really not that scary. There are gentle ways to get over that initial barrier, and once you're on the other side the learning is incremental. After our nervous coders had tried the activities we had lots of comments like "Is that really coding?" It's as if they had expected a terrifying monster with sharp teeth and found a cute well-trained puppy. Coding isn't easy, but as one of my pupils once said: "it's a fun kind of hard." If you experience coding in the wrong way then it can put you off. If you start simply you can quickly improve your skills. If you don't get it, try something else. Computing is the opposite of boring. Coding and analytical thinking are great for inducing what psychologists call a 'flow state' or 'being in the zone', a rewarding state of utter absorption. So many of the important problems in life will be solved using technology. Technology is what is taking us forward as a human race. It's really important for women, and indeed people from a variety of backgrounds, to be involved in shaping what this future looks like. I really don't see any reason why computing or technology should be seen as a male subject. It's just thinking well. Lots of the characteristics that make a good computer scientist are actually stereotypical female traits: being organised and methodical, taking time to understand people and problems, loving patterns and design, being patient and persistent, trying to find the best solution when there are lots of conflicting interests, a love of beauty and aesthetics, making sense of the world and communicating with others, empathising with potential users of a system. It's important to note that I'm not saying that all girls fit the stereotypes. The science shows that a lot of the stereotypical traits are due to cultural influence rather than genetic disposition. And more importantly that there's huge variability between individuals. In an alternate version of history maybe computing would be seen as a girl thing and we'd be trying to work out how to get boys involved. We didn't set out to write a tech book for girls when we wrote micro:bit in Wonderland, we just made projects that we enjoyed. We want boys to enjoy the book too, encouraging a different cross-section of the male population into STEM disciplines is also important. 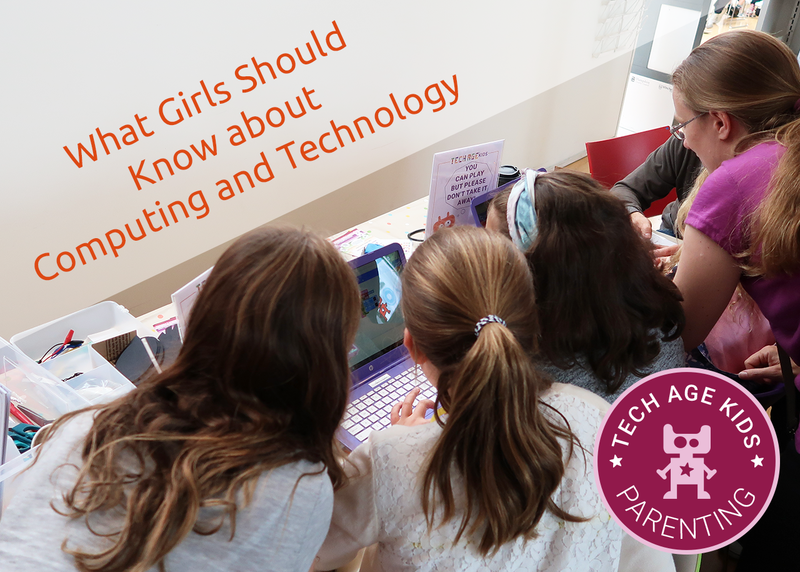 We need to do more to make sure that girls understand what computing and technology are really about so that they can make an informed decision about whether it's for them. Sticking pink feathers on everything isn't the answer. OK, I confess we did do that in one project, but it's when the flamingoes get used as croquet mallets.